As exciting and diverse as live music is today, it can often feel predictable, and there are certain reasonable expectations of what a live show can be. After this night, consider such expectations shattered. The Dillinger Escape Plan have made a career of defying expectation, pushing the boundaries of their compositions and performances beyond what might seem possible or even reasonable. As the New Jersey quintet embarks on what will be their final tour, they have proven once again that reason has no authority over them. Difficult as it may be, I suppose I’ll try to describe the stunning mayhem that was their performance on October 15. Webster Hall—an important room in a city filled with important rooms—was packed to the gills with eager fans. The crowd roared as the lights went down, chanting through an extended blackout. A pit formed in the center of the floor before a single chord was struck. The band took the stage in darkness and drummer Billy Rymer announced their presence with the opening fill to “Limerent Death,” the first track to the band’s latest (and last) record, Dissociation. Though the song was new (the album itself only 24 hours old) the room exploded with an energy that did not wane as the night wore on. The set featured songs that spanned the group’s nearly 20-year career, showcasing cuts from all six of their studio releases. Savage experimental metal tracks like “Panasonic Youth” and “Hero of the Soviet Union,” released almost a decade apart, show how the band has been able to maintain their signature penchant for intellectual yet crushingly brutal music. This is no small feat in a genre that either sees bands move away from their aggressive tendencies, or become parodies of themselves in the attempt to disingenuously keep those tendencies alive. TDEP have progressed immensely over the years, and the scope of their musical output has expanded, but that initial spark has never faded. Even relatively lighter songs like the hooky “Black Bubblegum” kept the room absorbed in kinetic fascination. Throughout the set TDEP proved that they are more than chaotic breakdowns and progressive passages, making room for moments of serenity and even pop. Songs like “Nothing To Forget” are shining examples of their capacity to meld unlike forms into cohesive and affecting songs, and proof that if they are indeed going out, they are going out at the top of their game. The stamina on display was something to behold. The entire set felt like an extended and elegant seizure. As if their brutal, tremendously complex music isn’t enough, their enigmatic presence and tendency towards often-dangerous feats is unparalleled. There’s nothing that feels planned or theatrical about the stage dives and crowd interactions, but rather every moment comes across as genuine and impulsive. Guitarist and longest running member Ben Weinman flips without warning from the stage into the crowd, his guitar in hand, or climbs on top of a fan while executing an intricate solo. Amid the set’s closer, “Prancer” from the band’s 2013 album One of Us is the Killer, vocalist Greg Puciato leapt from Webster Hall’s high balcony into the crowd below. It was expected, a staple of their live shows, but nonetheless thrilling. While some might call this behavior unruly or even juvenile, it speaks to the commitment this band has for compelling their fans to feel something. Danger and aggression are entirely valid expressions, and never once did the crowd seem anything less than united in the celebration of those undeniable facets of life. This was perfectly manifested when, during the encore, fans began to rush the stage. The band was quickly lost within the sudden sea of people, but the music kept coming. Nothing could stop it. The stage now overflowing with rabid fans, ebbing and pressing in around Puciato like some living wave, he called for the house lights, illuminating the room so that every corner could be seen. In that moment the truth of what was happening was undeniable, and everyone was sure that they were in the presence of something remarkable. “Remember this,” Puciato said, before the lights cut and the final crushing blows of their classic track “43% Burnt” tore through the room like a thunderclap. It was, in so many ways, a perfect sendoff for a band that has always thrived on positive chaos. 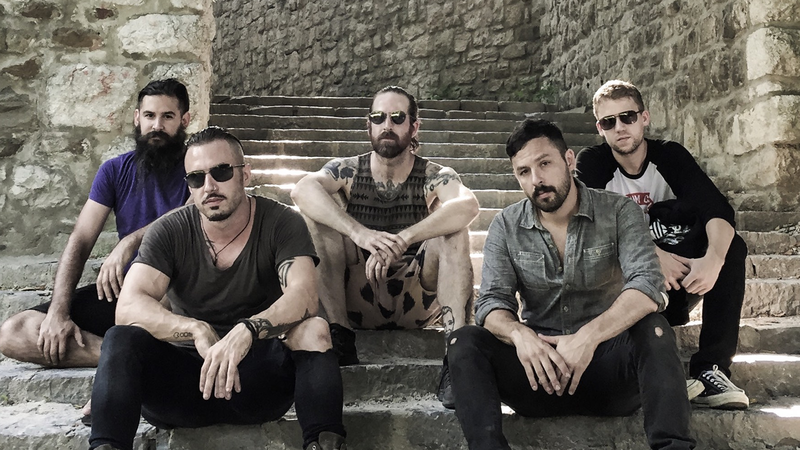 It was the fulfillment of The Dillinger Escape Plan’s potential and evidence of their vital impact, and yes, it all really happened–believe it or not.